2014 | "Across My Spectrum"
Cherry Point Airshow … Woo! The last time I saw an airshow was decades ago. More intriguing, the event was opening on Friday evening, 16 May, 2014, which would place much of the activity under the cover of darkness. The last time I saw an airshow at night was … never! Read More, with Photos, Videos, and the F-35B JSF! Day 15: Veni, Vidi, Sydney! We came, we saw, we Sydney’d. After a hotel breakfast, ferry tickets were purchased at Circular Quay (pronounced “key”) for our debut ride on the water. The most efficient way to sashay about the most popular sights is definitely to float on a boat. The “Sydney Ferries” are the public-owned crafts, like a bus line with very prompt schedules never affected by stop lights. There are also private ferry lines running on the major routes, and small water taxis near many of the docks for transportation on your schedule, direct to your destination. 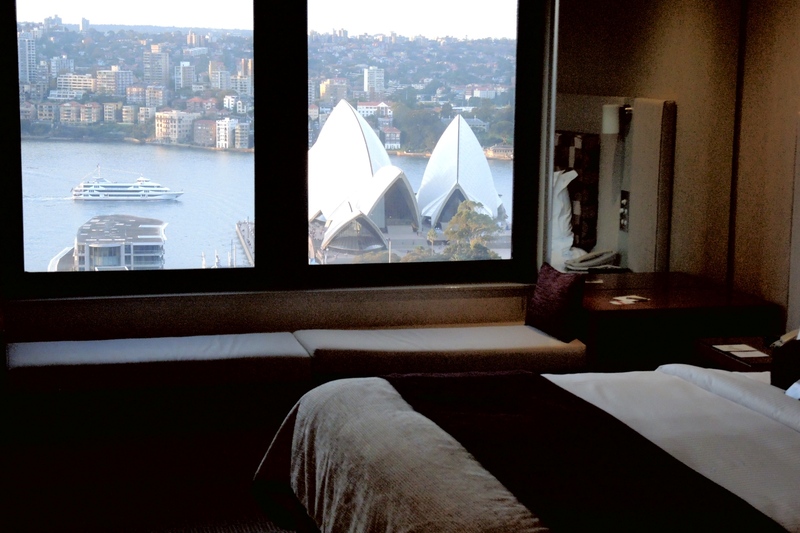 The stunning sights of Sydney unfold after flying from Cairns, and our downtown hotel provides a room with a view, or rather a room with “the” view: Sydney’s dazzling Opera House. It’s fair to group two days as one, since the object was the same, though the vehicles were different. Day 9 is Easter Sunday, and that is lift-off for our helicopter tour OVER the Great Barrier Reef. Day 10, a big Aussie holiday as well for Easter Monday, is our day to get OUT onto the reef in a boat, something everyone seems to agree is a must do. We also knew that Sunday morning is Market Day in Port Douglas, where we can see local crafts, artists, and collectors of all things Australian.